Is The Marcy Foldable Magnetic Rowing Machine As Crowd Pleasing As It Aims To Be? 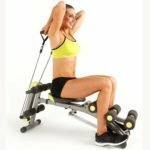 The Marcy Foldable Magnetic Rowing Machine sounds like the sort of model that should please everyone. It is a unisex option, which means a functionality and design that should therefore appeal to all kinds of users, and it has the dimensions and folding frame that should ensure that it fits into most homes. There is also the fact that the specification isn’t all that broad when it comes to features and unique selling points. With some models, this could be seen as a negative thing, as a lack of functionality could mean a decreased intensity of variability in the workout. For others, this may sound like the ideal starting point. So, does this model disappoint or meet expectations? 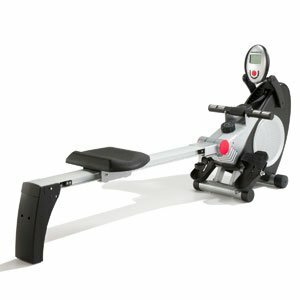 What benefits have buyers mentioned when reviewing this Marcy Unisex Rower online? There isn’t much here in the way of features for a tough workout, so it really does seem as though this is a starter model for newcomers that want a little movement and calorie burning in the morning. There are only 8 levels of magnetic resistance and the flywheel is pretty light at just 4 kg. There are some that talk about the range from a low intensity to high intensity workout, but they are generally newcomers that are pretty unfit. Experienced users may not get much from the top end. Despite this, there is still a heart rate function on the hand grips and an LCD readout that gives information on basic data. The other interesting factor with this Marcy rowing machine is that folding unisex frame. The model opens out to a length of 183cm, which is meant to be fine for anyone up to 6ft2, and folds up to a compact size of 75 x 43 x 150 for easy storage. 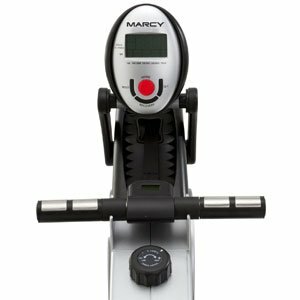 Are there any clear issues with this Marcy Unisex Foldable Magnetic Rower? The problem is that this unisex, compact feel and basic nature of the performance means that this is bound to lacking in some areas. The first issue is with the quality of the data output as there are some that aren’t too sure about the accuracy of the calorie counter. Some are happy enough to feel it working rather than see it working, but those that have clear goals in mind may struggle with this factor. As for the shape, there are some that say that the foot pedals are a little small and uncomfortable. This matches in with the slightly uncomfortable seat. Then there are those that feel that this is a little cheaply made compared to some other options. 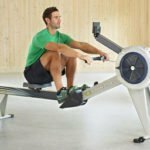 Summary: what do these issues mean for a final verdict on this Marcy Rowing Machine? In the end, this model does pretty much what most users would expect. There is nothing here that will excite the fitness fanatics out there looking for a high-end, compact model. However, there is no doubt that it is compact, home-gym friendly and capable enough for those that are only looking for gentle motion. There is enough here for the Marcy rowing machine to be a decent starter, but an extra inch on the pedals, a comfier seat and a little more resistance might help turn it into a 5 star product. 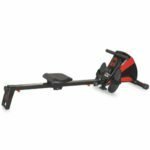 You can check out more customer reviews about the Marcy Unisex Rowing Machine Foldable Magnetic Rower with Hand Pulse on Amazon here.